It's a long story, (one that I'm happy to share if you're interested, just let me know in the comments! ), but the gist is this: not only does giving back help someone in need, it expands your own heart, mind, and viewpoint. And the thing is, most people are unbelievably kind, generous, and wonderful and genuinely want to give back. But, with lives that seem to get busier by the minute, it can be difficult to find the time to make that run to Goodwill. Or Salvation Army. Or whatever your charity of choice may be. 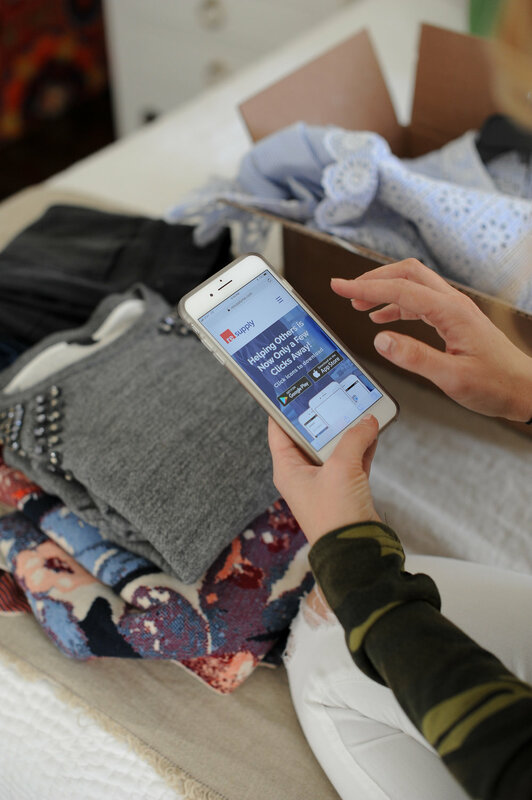 Enter ReSupply, an app that truly makes giving SO simple. All you do is download the app, select a local charity that speaks to your own big, generous heart, and then schedule a pickup. The hardest part will be cleaning out your closet, or let's be honest, your little hoarders' toy boxes. Pickup is completely free, and you will even receive a digital tax credit. ReSupply truly lives up to it's mission to make giving simple. And I think we could all use a little more of both.